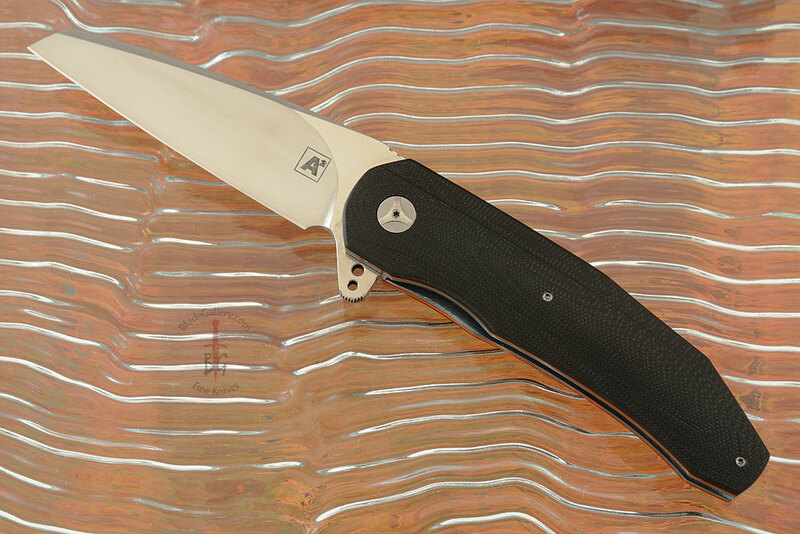 The blade is perfectly centered and silky smooth -- easily opened with one hand using the discreet and ambidextrous flipper toggle. 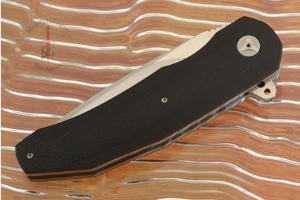 The blade uses the IKBS (Ikoma Korth Bearing System) pivot system. This mechanism, which was originally designed to fit balisong knives, uses ball bearings to create exceptional action with no blade play. This A3 uses two tracks of ball bearings, rather than just one. 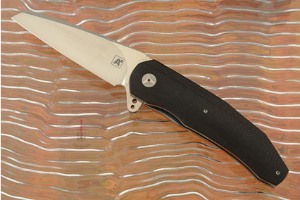 This produces unparalleled smooth action without play -- even more so than a standard IKBS mechanism. This special A3 was created with ceramic ball bearings. Generally IKBS bearings are made either from tool steel or from stainless steel. Stainless steel can wear away, resulting in uneven action over time. Tool steel bearings can oxidize making the action rough. Ceramic bearings are the best of all worlds -- extremely hard and wear resistant, they are also inert and will not oxidize. 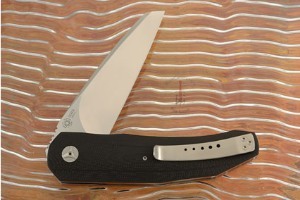 The scales are formed from black G10 with thin orange G10 spacers for accent. Jimping on the thumb ramp aids grip. The gently rounded handle feels sturdy and fills out the hand perfectly. 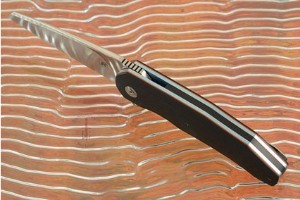 The handle is completed with blue anodized titanium liners and a black G10 backspacer. 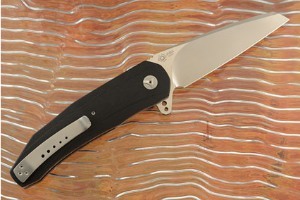 The ultra-light titanium pocket clip is mounted for tip-up carry. A perfect EDC for any situation life throws at you!